Part of the joy in being a goth has always been in knowing that you don’t quite fit in with normal society. In large metropolitan areas, it is usually easy for the dark ones to celebrate their goth pride by gathering at clubs, wherein they can parade their plumage, drink and dance to dark music, and unite in their distinction from proper society. OC doesn’t exactly comprise a large, unique, metropolitan area. But a careful examination reveals that we not only possesses a few popular locations for goth-spotting, but it also has a thriving goth community. The Weekly is always happy to send some music journos and photographers to various goth events so that the dark side can get the recognition it deserves as a part of the melting cauldron that is Orange County, but just this once, we’d like to take you on a tour of some of the gothic highlights that OC has to offer. So put on your blackest outfit and let’s take a stroll through the darkness! What’s that? You don’t have any decent black clothing? Not a problem! 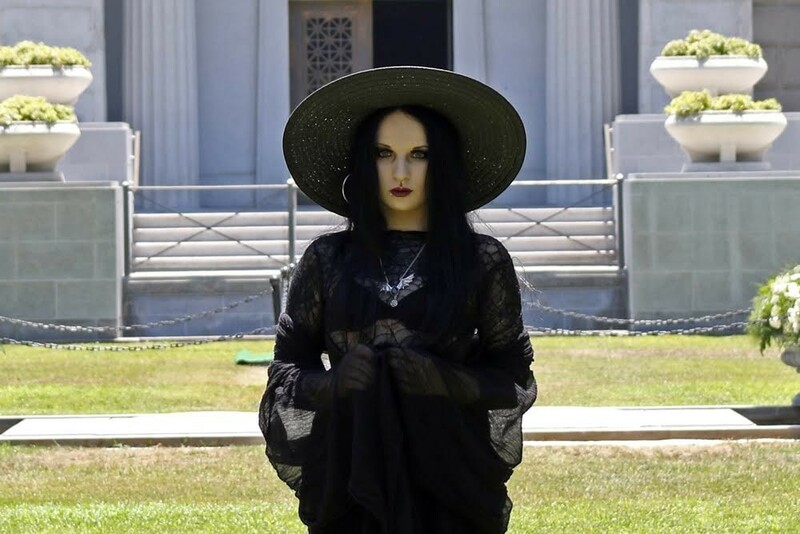 Naturally we have some Hot Topics sprinkled throughout the malls of Brea, Orange, Santa Ana, and Westminster, but for the more serious gear, Ipso Facto is a highly regarded goth clothing store of Orange County. Fashion designer Terri Kennedy and Bob Medeiros opened the Fullerton shop in 1989, when it featured an art gallery and provided body piercing services as well as stylish gothic and punk shoes and clothes for men and women. The shop continues to sell clothing and shoes as well as essential goth accoutrements and miscellany. Don’t see what you like there? No worries! Wicked Chamber, in Costa Mesa, is listed as a lingerie store, but they are really so much more! Amongst their many unique garment styles, they have a lot of Victorian and steampunk gear. Said gear may not all be colored black, but no one ever said that goths had to dress in black. Additionally, they carry masks, wigs, jewelry, rave wear, and the Weekly has previously named them Best Costume Shop in Orange County. This mother / daughter business has been helping OC stay risque and chic since 1997. Still haven’t found the accessory that speaks to you? Perhaps you will at The Dragon and the Rose, in Santa Ana. Opened in 2009 by Hugh Robbins and Karen Estremo, the store is a cornucopia of pagan delights, including hundreds of oils, herbs, crystals, candles, types of incense, ritual outfits, runes, tarot cards, etc. Interested in doing more than dressing up for a night out? The Dragon and the Rose also offers classes, drum circles, and other ritualistic events. Once you enter this realm, you may not wish to leave. Alright, so now that you’re all dressed up, where do you go? As fortune has it, Orange County provides three choice spots for creatures of the night. We’ll start midweek. On the first Wednesday of every month, with the regularity of a werewolf come every full moon, Anaheim’s World Famous Doll Hut becomes Club 7ven. At Club 7ven, house and guest DJs spin Goth, Industrial, EBM, and Synthpop music (all of which coexist peacefully under the umbrella of darkness and etheria which is held by most goths). On the last Saturday of every month, club Sanctum Sanctorum springs up at The OC Steel House (which is also in Anaheim). It is here that Gothic, Darkwave, Deathrock, Post Punk, 80’s and EBM music are served up for goths to dance, drink, mope, or commiserate to. 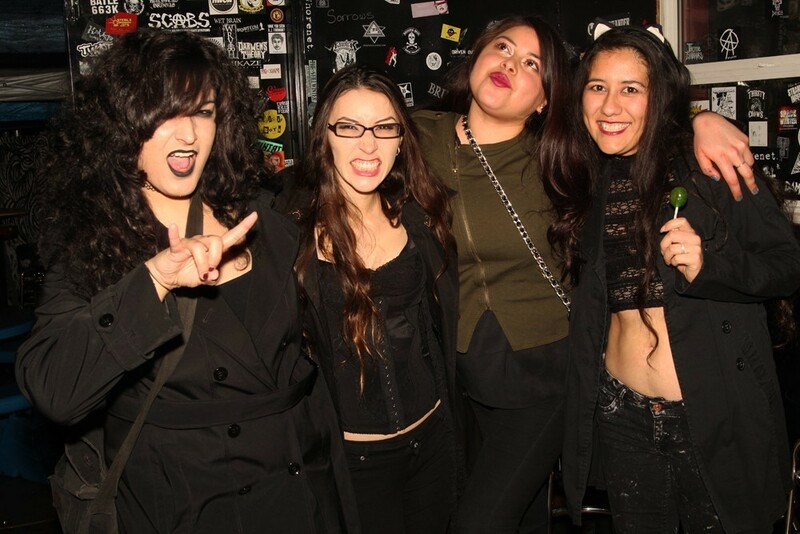 In addition to the music the DJs spin, Sanctum Sanctorum also hosts performances by local Underground, Death Rock, and Goth bands. The OC Steel House also hosts the gothic club The Gathering; this fledgling club will celebrate its first anniversary on July 23. Finally, at The Chamber, goths can find darkwave, industrial, EBM, aggrotech, synth pop, and of course goth music to groove to on every Sunday of the month. The Chamber, which takes place at Club Bravo (we’re still in Anaheim), recently celebrated its 15 year anniversary. The occasion was commemorated with a performance by industrial band Tactical Sekt, whose lead singer / songwriter, Anthony Mather is a resident of OC. These clubs should provide enough opportunity and appropriate tunage to sustain the lifeblood of local and visiting goths. However, not all goths are alike; let’s face it, every goth is not of the Cybergoth, Deathrocker, Rivet-Head, or Goth-a-Billy variety. For those Romantigoths, Ethergoths, and Vampyres who crave something a bit more elegant, Anaheim drives the final nail into the coffin with Bats Day in the Fun Park. Actually, in addition to the location of the clubs, this event should establish that Anaheim is the most goth city in Orange County. Started in 1999 by Noah Korda and a few friends, Bats Day in the Fun Park has become an international phenomenon. People fly in from all over the world to experience the event, which stretches over several days and includes the Swinging Wake, a costumed ball during which the aforementioned goths can posture, affect English accents, and saunter to their hearts’ delight while dolled up in their finest Edwardian and Victorian-influenced outfits, while dressed as a ghost, or in any manner befitting the haunted theme. The following day, the event features the Black Market, an impressively sized bazaar of spooky tchotchkes, which are created and / or sold by local artisans and retailers. On the final day, thousands of goths sport their colors (or lack thereof, since technically black is the absence of color), and descend upon Disneyland for the official Bats Day in the Fun Park. 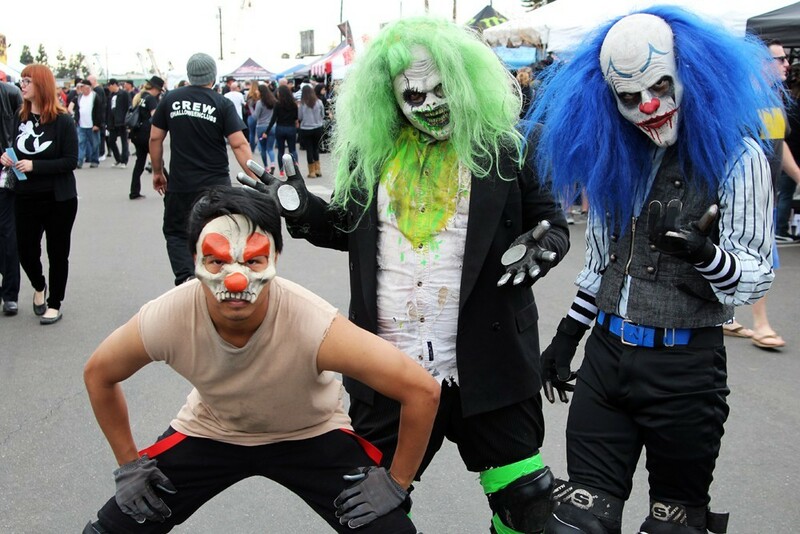 On the subject of annual events, Halloween Club has established itself as not only a year-round destination for masks, makeup, costumes, and props, but also as a destination for darklings to flourish during its annual Spook Show, which recently held its fourth annual event. All right, for that wisenheimer in the back row with his hand up, we concede that the border city of La Mirada is technically on the Los Angeles side, but it is still a mecca for OC goths who want to enjoy as much darkness as they can during the non-Halloween season (which, it goes without saying, is their favorite time of year). For those who insist that La Mirada must not count on an OC round-up of gothic destinations, how’s about Fullerton? Abracadaver Productions, located in Fullerton, is the production house of Larry S. Carr. For the past 35 years, Carr has been designing and producing scary props for theme parks and movies, and for the past six years, Abracadaver has been hosting an annual Open House and Halloween Market. This essentially brings our tour to an end, but that is not the extent of the gothic arts that OC has to offer. Many goth bands in the OC have risen and gone the way of the dodo, but there are plenty of active goth bands that were born here, including: The Last Dance, a gothic rock band from Fountain Valley (currently touring the UK); Bell Tower Bats, a goth-styled rock band out of Anaheim; and COLD Complex, a punk / goth band from Santa Ana. We hope that this concise guide has whetted your taste for blood, but if you need more in between the events we’ve listed, you can always tune in to DJ Valerie Streeter’s radio show on KUCI, where your ears will receive regular infusions of dark delights. In the meantime, try to enjoy the daylight!